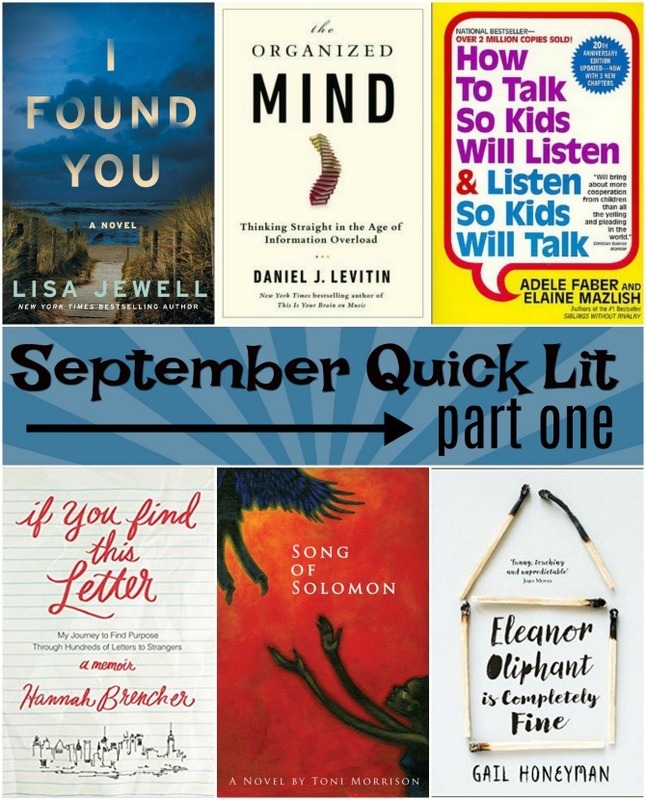 I hope you are ready for some book reviews because I have six (well, five-and-a-half) for you today. None of these books were runaway winners for me, but all were very worthwhile reads. If You Find This Letter, by Hannah Brencher: Like many young people, Hannah Brencher entered post-college life with an optimistic spirit and a deep desire to make a positive difference in her community. Then she moved to New York City and found herself in a world that was much starker and less glamorous than she’d envisioned. Her eagerness fizzled, replaced by loneliness and disillusionment. Hannah found solace from the encroaching depression through her first true love: words. She began writing anonymous letters to strangers in the city, and in telling these individuals that they were not alone, she felt less alone herself. Her letter writing project reached an entirely new level when Hannah made an offer on her blog: she would handwrite a love letter to anyone who asked. 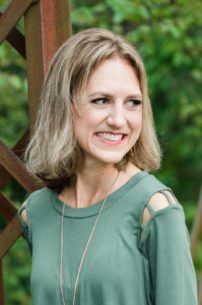 Little did she know that she would receive hundreds of requests, and that the recipients would not be the only people changed by the letters she dedicated her life to writing. 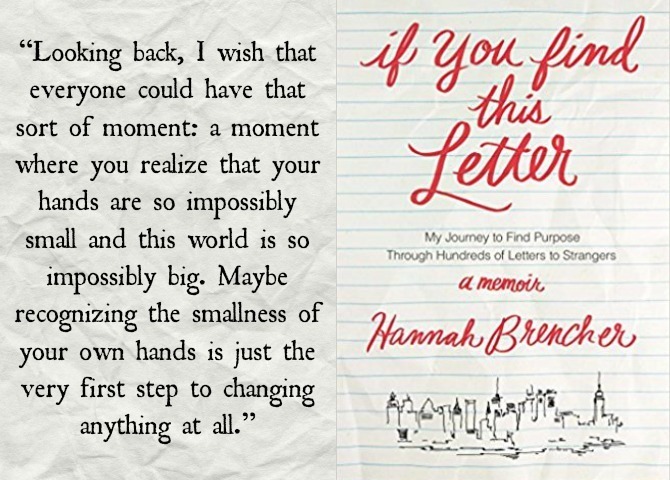 I loved everything about Hannah’s Love Letter project and what it says about the power of words, the importance of connection, and the lost arts of letter writing and of actually sharing our REAL lives with other people. The chapters of this memoir dedicated to describing the project are golden. Unfortunately, descriptions of the project make up a small portion of the book. The rest is simply a story of Hannah’s painful transition into adulthood, her search for God, and her struggle to understand her place in this world. Hannah Brencher is a strong and insightful writer, and I think nearly all of us would recognize aspects of our own growing-up stories in her experience. Her writing is pretty angsty, though, and something about the tone felt a little too forced, or maybe artificially raw. I’m not one to shy away from self exploration, but I don’t love when intimate details are put on display for shock value, and it felt like some of that was going on here. I have a feeling this book would have been MUCH better if it were written ten years into the future, when the author is a bit further removed from the emotions of emerging adulthood. 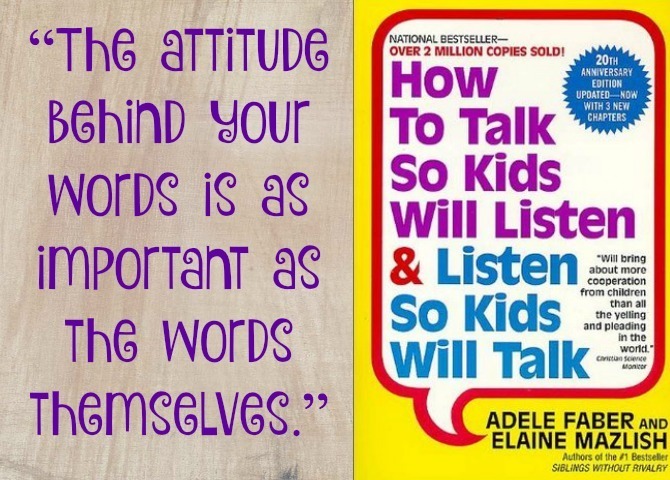 How To Talk So Kids Will Listen & Listen So Kids Will Talk, by Adele Faber and Elaine Mazlish: This book seems to pop up on nearly every list of “best parenting books” and I’d been planning to read it for a while. Originally published in 1980, I’m sure the book was quite revolutionary for its time. The authors provide instructions and detailed examples of how to speak positively and respectfully to children; replace punishment with cooperation; foster autonomy; and encourage appropriate behavior by providing specific and constructive feedback. The principles in this book are timeless and sound. None of it was new information, though—at least not for me as a fairly well-read parent in the 21st century, who has already been exposed to these ideas in countless books and parenting podcasts. I already practice most of these strategies and can attest to their effectiveness (both with Charleston and with kids I’ve worked with as a teacher and babysitter). They are geared towards older kids but work well with toddlers, and in reading this book I thought of many ways I could apply them in my own self talk. Though the recommendations in this book are still relevant today, the book’s examples of what not to do are very dated. I don’t know many parents who recklessly spank their children or talk disrespectfully as described in the book’s examples; perhaps this was commonplace 35 years ago, but today we would consider that child abuse. In addition to being very old-school, these examples are tediously repetitive; not exactly engaging reading. I’m so glad that this book was written when it was, as I’m sure it paved the way for a “new” way of parenting. And even though I didn’t come away with any new-to-me ideas, it was good to be reminded of strategies that are easy to forget about, but always work. 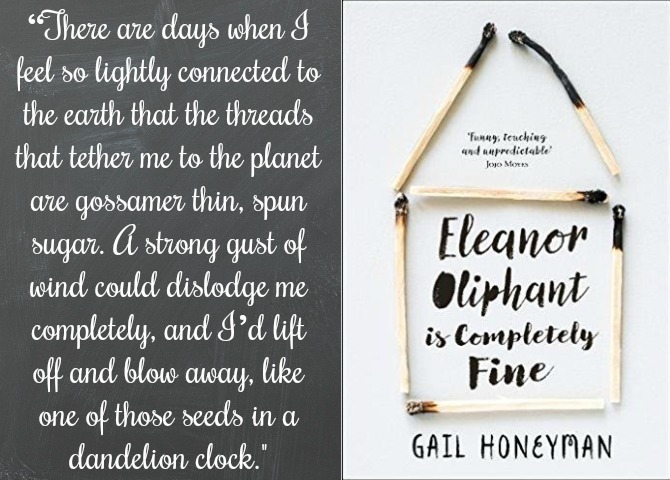 Eleanor Oliphant Is Completely Fine, by Gail Honeyman: Eleanor Oliphant strives to live a totally “normal” (uneventful) existence. She works a mundane office job, maintains a strict schedule, and keeps messy interactions with other humans to a minimum. This rigidity cannot erase the scars of her past, though; these are etched into her face, woven into the fabric of her personality and mind, and they speak to the indelible damage of a childhood accident and an abusive mother. Eleanor’s life quickly turns from dreary to eventful when she strikes up a friendship with Raymond, a bumbling IT guy from her office. The friendship looks as though it could turn into something more, but Eleanor’s affections lie with an edgy musician (whom she unfortunately has yet to meet). As Eleanor begins to transform herself to win the attention of her crush, she begins to change in more than just appearance; and with this personal growth arises a need to address her very painful past. I spent most of this book feeling that it lived up to its title: completely fine. Not horrible, not great—readable, but not exactly riveting. I found Eleanor to be an intriguing character, but also one I seem to be encountering quite a bit in fiction of late (she is a blend of Don Tillman [The Rosie Project] and Fredrik Backman’s Britt-Marie). I also felt that aspects of her character were confusing: she is remarkably self aware at times, yet incredibly oblivious in many situations. I was unsure whether these inconsistencies were errors in writing/editing, or intended to portray her unique levels of trauma and (possible) mental illness. The story is sweet but mostly predictable. However, I was quite surprised by the end, which mostly redeemed the novel for me. I read that Reese Witherspoon bought the film rights to the book, and I think it will make an excellent movie. 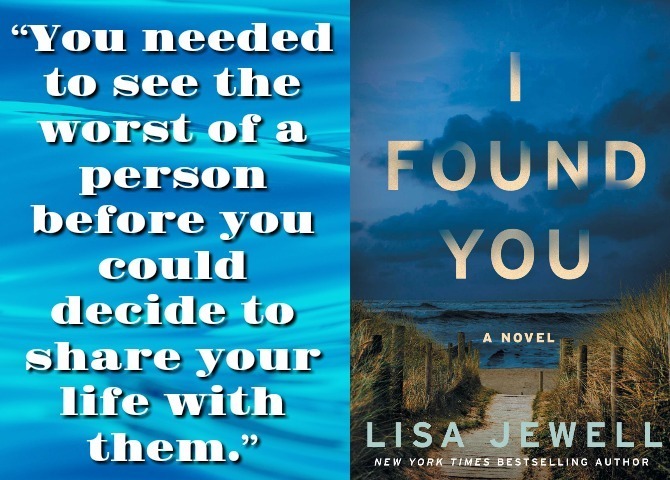 I Found You, by Lisa Jewell: A mysterious man shows up on the shore of a seaside British town. When Alice—a single, middle-aged mom with a penchant for taking in stray animals and wayward men—approaches the stranger, she discovers he has no memory and apparently no past. But something brought him to this town, and she is determined to help him find some answers …. Meanwhile, in a London suburb, Lily—a young newlywed from the Ukraine—is waiting for her husband to come home. Believing that something dreadful must have happened to keep him away from her, Lily files a missing persons report, and when the police offer little help, she sets off to find her beloved …. Twenty-three in the past, a family arrives at their seaside home for a summer vacation. Teens Grey and Kirsty develop a tenuous relationship with the troubled young man who lives in a mansion overlooking the sea …. These three plot lines seem isolated from each other at first, but slowly they begin to merge into one creepy and unputdownable story. This pageturner had me hooked from line one. The writing isn’t particularly strong, but the evocative setting and riveting plot had me plowing through this one at a faster-than-normal clip. I found the story highly implausible, and I did see some of the plot twists coming, but this was an instance when the suspense and mystery allowed me to overlook those shortcomings. The characters are intriguing, albeit mostly unlikeable, and there are few surprisingly poignant moments. Bonus points for a very satisfying conclusion, without any pesky loose ends. The Organized Mind, by Daniel J. Levitin: The subject of brain science seems to be coming up more and more lately, and for good reason: not only do we have the scientific capabilities to analyze our brains like never before, but in our age of technology overload, we are being asked to utilize our brains in new and complicated ways, and most of us are at a loss as to how—or even why—we should maximize our brain power. 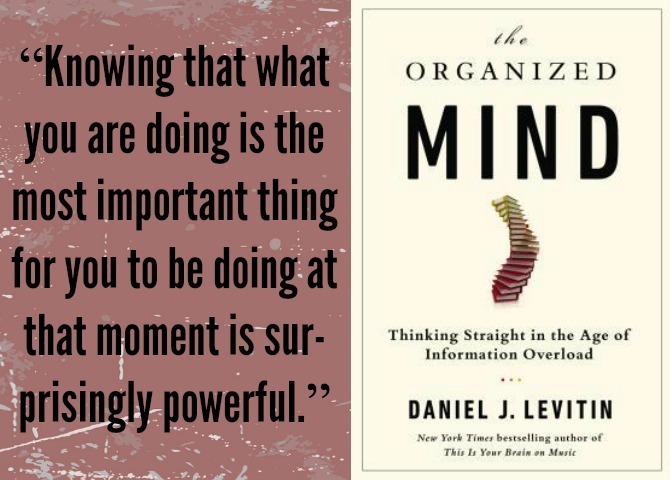 In The Organized Mind, neuroscientist Daniel J. Levitin delves into the intricacies of the human brain, describing in great detail how the brain consumes, processes, organizes, and stores information and experiences. He explores the implications of these processes at an individual and societal level and then uses studies and examples to walk his readers through organizing our personal spaces, our work lives, our bodies, and our time. The information included in this book is beyond fascinating. Each chapter contained studies and factoids that positively blew my mind (no pun intended!) and shed light on my own life and thinking. I particularly enjoyed the chapters on how we perceive/organize our time, and how to apply logic to making health care decisions. The book’s huge drawback is that it is long and rather unwieldy. As I was sharing with Luke how much I was learning from the book he said, “cool, but it sounds pretty dry.” And he’s right, though there are numerous amazing takeaways, the painfully detailed examples keep it from being a page-turner. The book simply tries to be too much at once: it’s a book about the brain, but also about society, culture, organizational habits, and education. I never would have made it through to the end if I wasn’t listening to the audiobook while also following in my copy of the ebook. However, if you are at all interested in the topic of brain science and are willing to wade through the technical portions of the book, it’s a worthwhile read. 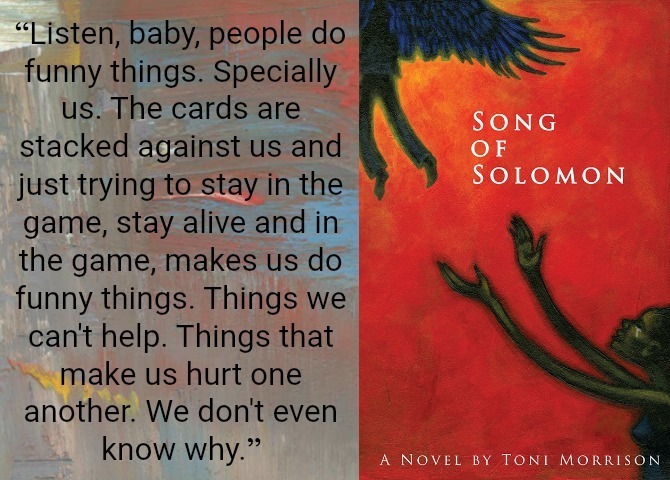 Song of Solomon, by Toni Morrison: This was my selection for this month’s Reading Challenge category (a book written during the 1970s). It was my first introduction to Toni Morrison and I was mesmerized by her writing style and challenged (in a good way) by the ideas presented in the story. I have a lot more to say about the book, and will be sharing a full review later this moth. I’ll be back Friday with reviews of six more books I read this month, including a reread of an old favorite, another book on brain science, and one of the most riveting books I’ve read all year.